The summer before first year I tried to find everything I could about going away for University and what it was really like. I wanted advice and I wanted the perspective of a real girl, some who actually was going through University at the time. It was hard to find, sure many magazines give advice but none of it seemed real or relatable. Here is my list of what I think is needed for University. It is not a 100% comprehensive list but it should help get you started with the basics. BED SHEETS (2 SETS) - A lot of universities have XL twin beds. Make sure you double check this before you by your sheets. DUVET/ COMFORTER -Your bed will not only be the place you sleep in university, it will also function as a desk, a kitchen table and a sofa. You will eat, sleep, study and socialize on your bed so I suggest getting a darker colour duvet as light ones tend to get dirty fast. ALARM CLOCK - I like having a alarm clock/ ipod dock combo. It saves space and allows me to wake up to my music in the morning. MATTRESS PAD - Makes the bed SO much more comfy. Laptop. lamp. usb. stapler, calculator, tape dispenser. power cord. notebooks. POWER BAR - I found my power bar very helpful. I used it to plug in all my electronics/chargers at my desk. Its a great way to maximize your outlets. EXTENSION CORD - Some outlets were in very inconvenient locations. A extension cord was helpful to make them a bit more accessible. DESK LAMP - My desk in first year had a light built in, but I often found it wasn't enough and needed an extra lamp. I also liked being able to have a light next to my bed on a nigh stand. PENCIL CASE - and everything that you need in it. robe. towels. flip flops. shower caddy. SHOWER CADDY - Makes taking all your stuff to the shower a lot easier, you do after all only have 2 hands. BATH ROBE - Great for walking to and from communal shower. FLIP FLOPS - communal showers. Enough said. TUPPERWARE - Great for storing extra food, bringing a snack to class or saving food from the caf. KETTLE - I loved being able to make my own tea and occasionally soups. MINI FRIDGE - I loved having some food on hand at all times. I drink a TON of milk and loved being able to keep it in my room and have cereal at all hours. Its also great for drinks and some fruits and veggies. Laundry basket. Hangers. Drying Rack. HANGERS - most closets don't come with hangers. They are often things that are over looked and you are left with out hangers. *packing tip* If you are driving to your new school, rather than taking all your clothes off their hangers simply bunch them together with an elastic band and put inside a garment bag (or garbage bag with a hole). Makes moving in a lot easier. DRYING RACK - great for those clothes that you don't put in the dryer. 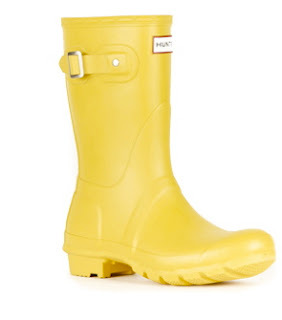 RAIN BOOTS - A good pair of rain boots keeps your feet dry through the rainy season and into the slushy season. Your feet will thank you. SLIPPERS - Rez is your home. But the caf workers don't love when you go down in your socks. FORMAL OUTFIT - There is usually at least one more formal event in Rez. Generally this is something you can take up after Thanksgiving break. But its a good idea to have something, just in case. You never know when you might have a job interview or a club event. CAMERA - Document all your amazing memories and all your new friends. FIRST AID KIT - It will come in handy and don't forget things like your medications. UMBRELLA - There is nothing worse then walking to class in the rain. Make sure you get a good, durable umbrella. Mine has turned inside out on me more times then I'd care to share. Quite embarrassing. MIRROR - makes it easier to get ready in your room. I kept one at my desk for putting make up on in the mornings. DOWNLOAD A PRINTABLE VERSION OF THE PACKING HERE. Make sure to check out your university's website as they often have a list of what they provide in the rooms for you and what you should and should not bring with you. Disclaimer: Everything that I have shared is my own advice and experience. It is limited and is solely based on my experience and I am by no means an expert. If you have any questions feel free to leave a comment or email me. Once again these are my own personal experiences that I am sharing, so please keep that in mind.